"It'll destroy your living room!" Borderlands: The Handsome Collection explodes its way onto physical and virtual shelves today for $59.99, near to bursting with Borderlands content. 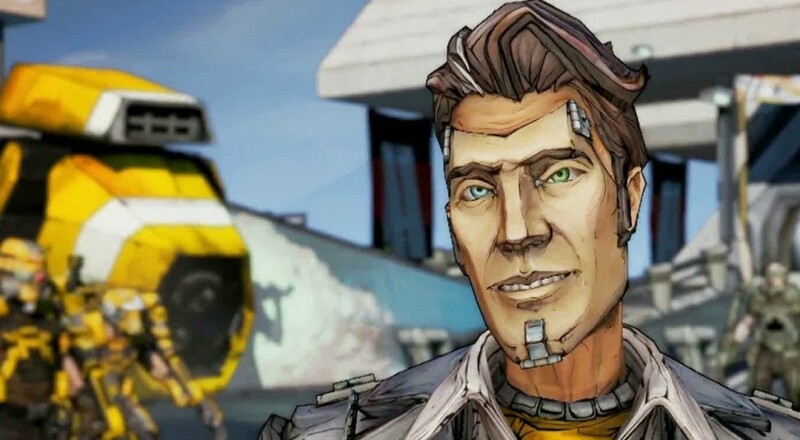 In case Borderlands 2 and Borderlands: The Pre-Sequel being available on both the PS4 or Xbox One for the first time wasn't enough, how about every scrap of DLC released for the both games, ever? In the time honored tradition of launch trailers, Gearbox has released a launch trailer for The Handsome Collection detailing each and every new feature or improvement over previous versions of the game. Likewise in the time honored tradition of launch trailers, they've spliced up some gameplay footage with real life video, much to my shocking embarrassment. I'm not sure which is more cringe worthy: the obvious canned excitement these saps are full of, or watching them duck in amazement at the obviously fake weaponry detonating into the wall behind them. I also don't know how I feel about those girls ruining their wine and crackers with all of those pillow feathers. Chill out! It's just a game, geeze. Obviously the big deal here is the four player local co-op, never before included in the series. Sure, you could've LAN'd a couple of 360's together, but that doesn't exactly sound like the kind of "pick up and play" nature this is trying to appeal to. The framerate does drop to 30 fps when you're blazing four-person local style, but that's not a deal breaker for most. I can see this as being a great way to get your non-Borderlands friends in on the action if a few of you are slumming it at your place with a PS4 or an Xbox One. Just load up a few characters and hop in. Besides, playing in person is loads more fun than going at it over the internet.